If you are looking for a natural flowing hairstyle, fixx yourself up with our straight texture. Our Virgin Malaysian Straight Hair has all of its cuticles intact, which allows no tangling and for easy use. Our hair is available in a natural 1B. Virgin hair Fixx is the number one go-to place for the finest quality straight Malaysian Hair on the market. Our products are 100% Virgin Malaysian Hair, making our hair the top choice for ladies who long for sleek, soft, and beautiful hair. 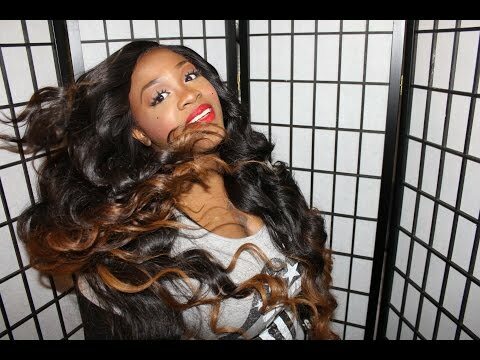 Wider Styling Options - you will be glad to know that you can blow-dry or curl your Malaysian Hair Wave just as you would your natural hair! they can also be permed or dyed (but preferably with the help of a professional), giving you more styling options. Longer Lifespan - With proper care, like using certain conditioners, heat protectant sprays, and other products, this straight hair can last longer than any synthetic hair on the market. Look more glamorous with straighter, longer, and more beautiful hair! Get the perfect hair you have always dreamed of by ordering your Virgin Malaysian Straight Hair today! Styling: For a full sew in weave we recommend buying 2-3 packs of hair. For hair over 16", we recommend ordering 3-4 packs of hair. Remember longer hair equals shorter weft widths. If you desire a weave with a lot of volume, you will need 3 to 4 packs of hair.